It all started with a scribbled note on the steps of Angkor Wat. In 2007, Robbie Reese and Garrett Gravesen decided that they needed a break from routine and the opportunity for adventure. Both successful University of Georgia graduates, Robbie in real estate development and Garrett in the non-profit world, the two friends were accomplished but unsatisfied. They craved more – more purpose, more excitement and more impact. During their travels around Southeast Asia, they conceptualized their big idea of transforming study abroad. They shaped the vision that would drive LeadAbroad for years to come – to lead transformative experiences. Armed with this vision, Robbie and Garrett built their team. Their first call was to Courtney Doran. She had just returned from a year in the Marshall Islands through Harvard’s WorldTeach program where she taught impoverished children by day and spearfished for dinner at night. She immediately accepted their ridiculous offer, as she was diabolically opposed to working in a cubicle and looking for a way to impact the world. Finally, Kevin Scott was working for a US congressman but was interested in placing people before politics and joined this group of dynamic dreamers. The four set out on our mission with an urge to step outside of our personal comfort zones. In a word, to do something that makes you say “Wow.” Never mind our current life paths or the crashing 2008 economy, it was the perfect time for us to travel this improbable journey together. We believed that by creating a holistic experience that combined the service component of an international volunteer project, the adventure of a backpacking trip and the course credit of study abroad, we could actually change lives. Our mission soon came to be known as Global LEAD (Leadership, Education, Adventure and Diplomacy) but we could only imagine what that would mean. While ‘stealing’ free internet at coffee shops all over Atlanta, we planned a trip across the continent of Africa to jump start our mission and decided on a carefully crafted strategy of raising money to live out our idea. Little did we know, this was an unproven business concept, and we missed our fundraising mark by the smallest of margins – a mere $70,000. With one week remaining before our departure, we tried not to panic. With 48 hours to go, our prayers were answered as Robbie and Garrett mortgaged their beat-up cars, life insurance policies and pride as collateral for a loan. Was it smart? Was it crazy? Or, was it exactly what every social entrepreneur with a grand vision and great team would do? We choose to believe door number three. 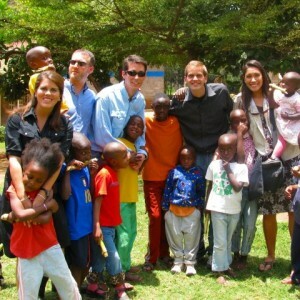 We lived out our new mission for 100 days across Africa from Kenya to Cape Town. We found out what worked, realized what didn’t and made a lifetime worth of memories along the way. We caused a stir while speaking alongside the Prime Minister of Kenya; got bruised and beaten while whitewater rafting on the Nile River; served in the slums of Kibera and at an AIDS orphanage in Nairobi; spoke at countless African universities, primary schools, and conferences; and even stared a 500-pound Silver Back Mountain Gorilla in the eyes in the forests of Uganda and Rwanda. Each day was a new opportunity to serve and understand the world, each other and the organization we were creating. 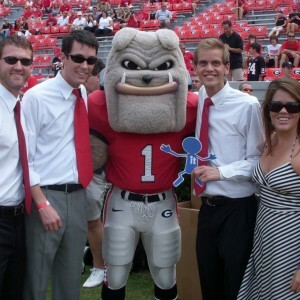 Upon our return stateside, we developed a leadership and service curriculum with the University of Georgia and prepared for our inaugural program in 2009. Fueled by Ramen Noodles and hope, we delivered an incredible LEAD experience to 48 UGA students and one lone, brave Wake Forest student. For the first time, people not only believed in our dreams, they experienced our program’s passion firsthand. They lived off a dollar a day in the townships of South Africa, listened to powerful leadership lessons from Nelson Mandela’s former cellmate and left self-doubt on the bungee jump platform – as they free fell into possibility. Suddenly our dreams were more than just thoughts, more than mere hopes. Others believed in LEAD and were inspired. In 2010, we again dreamed bigger than others dared as we took more than 100 students abroad to Cape Town and Greece while expanding our presence to universities all over the Southeast. 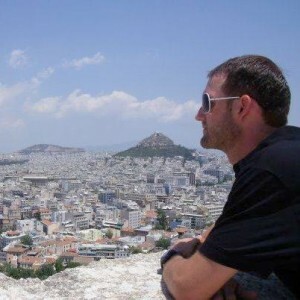 In 2011, we grew our Cape Town and Greece programs while researching our next locations. The team researched all over the world from Rio to Russia (it’s a tough job but someone’s got to do it) and decided on Ecuador as our next venture. In summer 2012, we took nearly 200 students abroad to Cape Town, Greece and Ecuador and loved every minute. We learned that our vision to lead transformative experiences worked on many continents. And we saw the tangible effects in our past students. From launching their own non-profits to deliver shoes to children in Guatemala, providing microloans in India or revolutionizing the media industry in LA, the stories we heard from our alumni (whom we call family) inspired us. In 2013, we switched our academic partner in favor of a flexibility, growth and an aligned vision for the future. 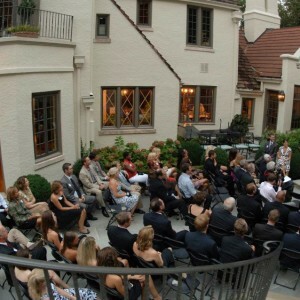 Oglethorpe University in Atlanta was the ideal new home. Their motto, “Make a life, make a living, make a difference,” partners perfectly with our vision. We embraced our new academic partner, moved into Oglethorpe’s student center and worked with faculty to adapt our courses to fit within the Oglethorpe pedagogy. In 2013, we continued to deliver programs in Cape Town, Greece and Ecuador while plotting the next evolution of our growing company. In 2014, GO and DIRECT programs were born and designed to share the power of international travel with more students. So, we launched GO Rome, a five-week study center in Italy focused on personal, cultural and academic engagement. We also created DIRECT Cape Town, a two-week travel experience for students who only had a few weeks to travel and did not need course credit. Growing from three to five programs meant that we intersected with incredible students from all over the country. Summer 2015 marked our seventh summer abroad and over 1,176 students’ lives changed. And, in mid 2015, we embraced another change. 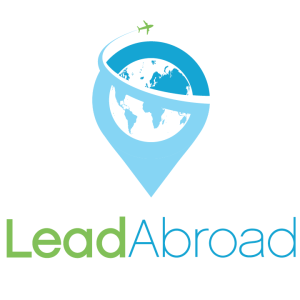 After careful consideration and urging from our family, we evolved Global LEAD to become LeadAbroad. This new brand and direction celebrates our founding ideals and yet broadens our company focus to truly embrace our vision of leading transformative experiences. As we enter our tenth year, we continue to believe in the power of our generation seeing and serving the world. We are powered by an incredible team of ten team members and an army of students on campuses nationwide. Robbie continues to steer the ship and lead our team as we work to achieve the vision he had at Ankgor Wat so many years ago. Courtney never stopped pushing for positive impact and now oversees all international programs in Cape Town, Greece, Rome, Barcelona, London and Costa Rica. Joanna, who traveled as a student on LEAD Cape Town in 2009, coaches our program directors and now adds sales management to her repertoire. Carolyn, the token Midwesterner, leads the marketing efforts inspired by the passion from her own travels to Barcelona, Australia and Fiji. 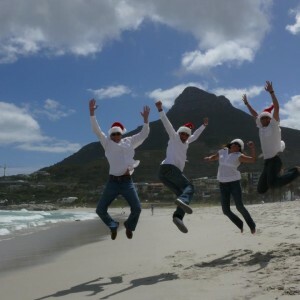 Michael, a Cape Town 2011 student, continued to stay connected after his student experience and joined full time in 2015 to support our marketing and international programming teams. 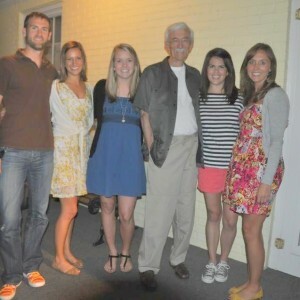 Just a few months later, we added Kelsey to our team, convincing her to leave Athens, Georgia, and lead experiences in Athens, Greece. After an incredible year of growth in 2016, Taylor, Cammie, and Sophie joined the staff after serving as Community Leaders and program interns and now travel to campuses nationwide and lead programs on three continents. Most recently, Marc joined our growing team to lead our finance and accounting systems. With the tireless dedication of this team of dreamers and doers, we are thrilled to run nine programs in six locations in summer 2018.